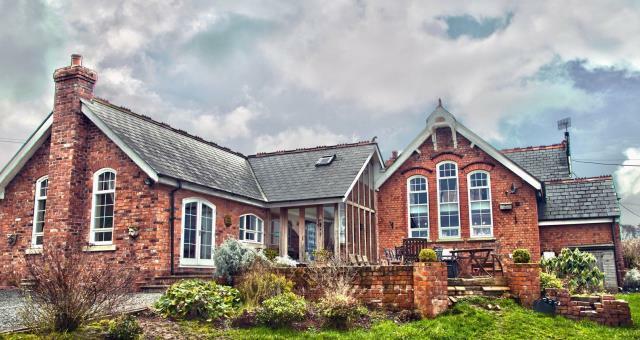 A beautiful Victorian school in a peaceful, rural setting on Glyndwrs Way. Large and welcoming ensuite rooms. The lounge is exclusively for guests and enjoy views of the large garden and unspoilt countryside beyond. It also has a welcoming log burner in guest lounge for cooler evenings and winter days. We offer hearty breakfasts, home-made cakes and home cooked evening meals by prior arrangement and a very warm welcome. An ideal place to relax, unwind and be spoilt. Property Adjacent to Glyndwr's Way - ideal walking country. 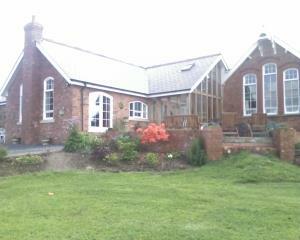 Large enclosed garden ideal for children Children welcome from any age. Leave Welshpool on the A490 North for Llanfyllin. Take left turn onto B4392 sign posted Llanfair caereinion and Maesmawr. Old school 2 1/2 miles on left.